Bombardier has been awarded a contract with Duisburger Verkehrsgesellschaft AG (DVG) to supply 47 new Flexity vehicles. The contract is valued at approximately 132 million euro ($156 million US). The first vehicles will be delivered by mid-2019 with further trams to follow until 2023. The integration of the world’s first homologated obstacle detection assistance system for trams will improve safety for all traffic participants. Bombardier’s driver assistance system was recently awarded the European Rail Cluster Innovation Award 2017, and has been in operational use on customer Frankfurter Verkehrsgesellschaft GmbH’s vehicles in the city of Frankfurt, Germany. To further ensure passenger safety, two cameras will replace rear-mirrors and an additional picture-in-picture camera will eliminate blind spots. 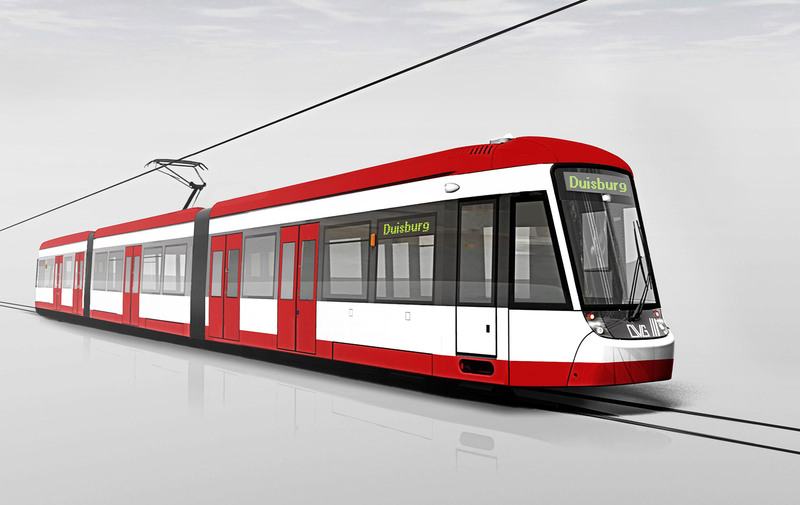 The bidirectional 3-car-vehicles for Duisburg will be 70 per cent low-floor Flexity trams, 34 meters long, 2.3 meters wide and able to transport up to 200 passengers. With two additional doors in the end cars and one in the middle car, they will allow for better accessibility. The new fleet for increased passenger-flow and higher capacity, is Bombardier’s contribution to Duisburg’s efforts in attracting an even bigger share of the city’s population to use public transport, reduce local road traffic and air pollution.